MBM innovations GmbH offers a wide spectrum of services in contract manufacturing and the construction of special equipment. We specialise in the manufacture of individual parts and small series as well as component production. In doing so , we also produce your demanding orders in small runs as well as responding flexibly to your specialist requirements. In this way, we always find the right solution for your requirements and implement these on schedule. Requirements with regard to the highest possible quality and precision of internal in-house production and from our suppliers, make us a high-performing and reliable partner for your successful company and one that is aware of our responsibilities . In doing so, we are always striving to ensure that your orders are implemented at the best possible cost-performance ratio and on schedule. We also gladly develop, produce and assemble perfect solutions in the field of special mechanical engineering. Here we will implement your very specific requirements or consultative stand by your side with our know-how . Precision down to the finest detail. Our modern machine park includes machines from Mazak, DMG Mori or Hurco. On these machines, our competent and experienced staff process stainless steel, aluminium, non-ferrous metals and plastics as well as tool steels, case-hardening steels and high-grade steels. 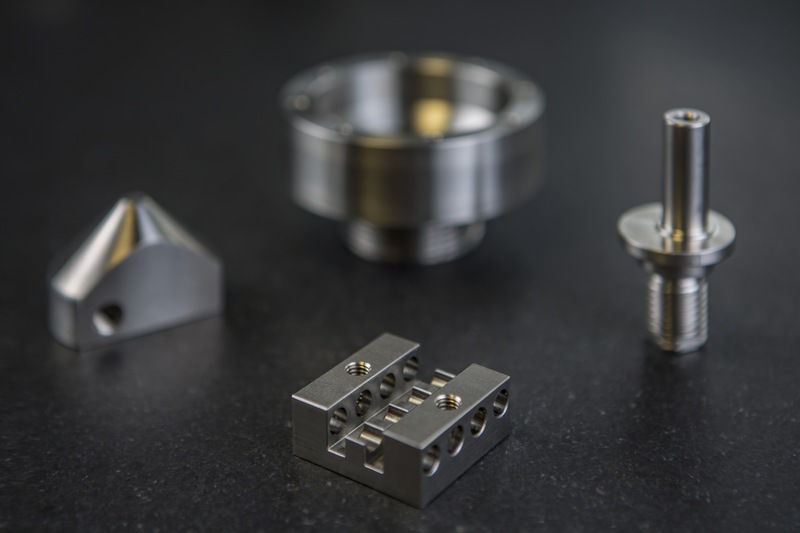 Our offer is expanded by a variety of options for surface treatment and hardening, these include burnishing, chrome and nickel plating, plasma-vacuum hardening or anodising. These additional services are implemented with the help of a very reliable supplier network that has grown over the years. In this way, we are able to offer an even greater spectrum of services, all from a single hand. We would be happy to support you with our experience and competence in the implementation of your orders. With our contract manufacturing services, we are proud supporters and silver sponsors of Starkstrom e.V., the Formula Student Team of the University of Applied Sciences Augsburg.